In this article, we talk about how QA outsourcing software testing is becoming a popular concept among various businesses. Find out how it is so much more beneficial to your business to hire a capable team to get the job done instead of taking on the mammoth task of building an expensive QA team yourself. The software industry is a fast-changing discipline and the organizations are always in a rush to bring out newer and better versions of their product into a dynamic market. New and disruptive technology trends are being introduced every day and they are bound to make some of the deepest impacts. The end user is constantly demanding for more and more and thus, the companies can’t risk leaving any stone unturned. As a result, the focus on QA and software testing has increased manifold. Consequently, the costs of testing have increased as the right vision and skill set is required to implement the testing infrastructure and bring out the best possible results. In today’s scenario, the field of testing works with an omnichannel objective and has become multi-dimensional. In order to bring out the best approach, a lot of expertise, infrastructure, skilled resources and strategy has to be taken into consideration. Opting for outsourcing software testing services is one of the important factors ensuring significant financial and technical approaches concerning an organization. A survey conducted by KPMG revealed that most of the game changers in the software industry prefer to outsource their performance and security testing activities from expert players. 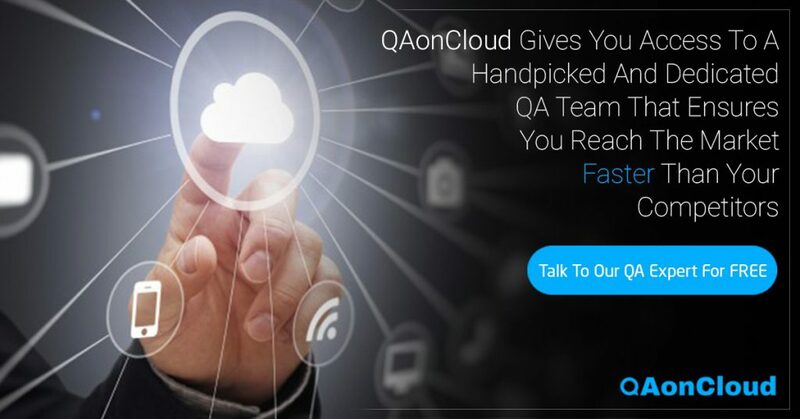 Let’s scroll through some of the major reasons why outsourcing QA services can prove out to be one of the best decisions for your organization. QA and software testing are largely dependent on experience as well as expertise. This makes it necessary to have a well-established and accomplished testing partner that is chosen while keeping in mind the latest trends, strategies and best practices in QA and software testing domain. Emerging technologies like IoT and Cloud can be better understood by an effective testing partner. One of the best factors behind efficient experience and expertise is that best-in-class human resources can be brought to the project by specialist training partners. Along with an efficient skill set and right resources that are available readily, flexibility is another important reason for relying on outsourcing software testing. 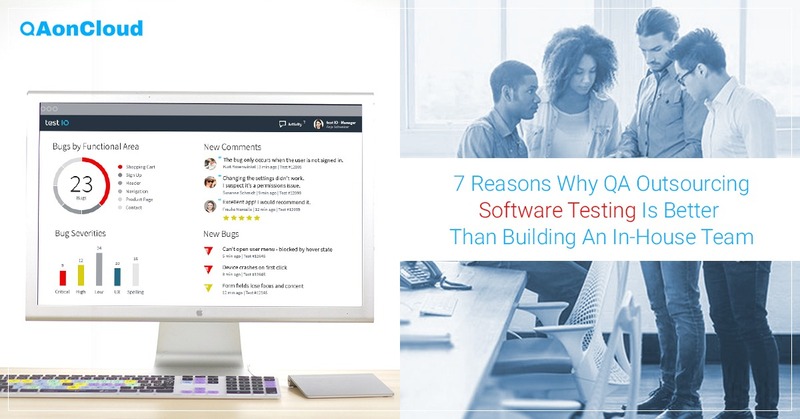 QA and testing partners are constantly updated with accurate technology from time-to-time by their proficient teams and also keep their clients updated with the latest trends. They can handle your software complexities and dynamic business demands very well and deliver amazing results despite working on strict timelines. When you are entering the field of entrepreneurship, money matters to the core. You need to take care of both expenditure and savings. A lot of time and money is required for committing and investing in an in-house team or employing people full-time. This is where outsourcing QA services comes to play. Apart from taking care of the financial aspects of the organization, outsourced QA service providers are inherently helpful in managing specialized and core functions of software testing in the long run. Some of the companies may treat this factor like a paradox, but QA outsourcing plays an important role in managing the productivity of an organization in an efficient manner. The outsourced QA teams work tirelessly to detect and repair the software defects and errors in a short time span, thereby making the product development process as short as possible. This speeds up the overall process and enhances the productivity of the organization. The domain of QA testing requires immense groundwork and constant innovation in order to cater to the ever-changing customer requirements. Your decision of outsourcing software testing can prove beneficial for your business as the outsourced QA testing experts constantly sharpen their skills and wholeheartedly utilize innovative measures to ensure that your software works smoothly and assess its security in such a way that hackers stay miles away from it. Outsourcing as a tool once deployed in an organization allows you to focus on other work that includes resources necessary for adding more value to the organization. While outsourced QA testing experts check the functionality of APIs in your product, you can sit back and focus on enhancing other key metrics of your organization and think of ways to bring some new and exciting features for your customers. There are a number of tools and technologies that require you to pay for license fees in order to get access to usage and distribution. QA outsourcing helps you to procure the right tools and technologies for software testing without having to worry about their respective licensing costs. Also, the maintenance of back-end infrastructure and development of resources becomes smooth when projects are outsourced to an offshore IT team. QA Outsourcing software testing has proved out to be a ground-breaking decision for many organizations and the results obtained to far reflect that it continues to be so. The expert QA agencies apply the right testing metrics and ensure that your product stands true to the expectations of your end customers. It is an important functional strategy that propels business organizations towards core business strengthening and innovation. Overall, quality outcomes and positive business results can inherently be achieved with the help of QA outsourcing providers.